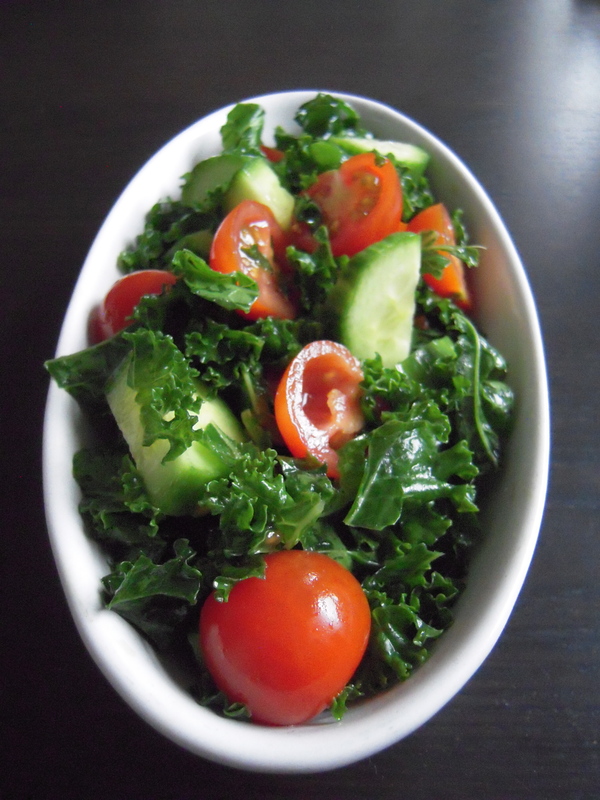 Ok, I know I’m a bit very late on the whole kale salad bandwagon, but I thought I’d join now – better late than never, right? I mean, I’ve been eating kale for a while, but I only ever steamed it because the leaves were hard bitter and have quite a ‘distinct’ smell, to say the least. I’d seen massaged kale salads floating round the net but never really took a second look at them, but THANK THE LORD I finally caved in! Massaging kale really gets rid of the bitterness and tastes like a normal salad leaf, but more substantial and SO much better for you! Kale is considered a superfood – it is high in iron, fibre, anti inflammatory and high in vitamin K, vitamin A and vitamin C! 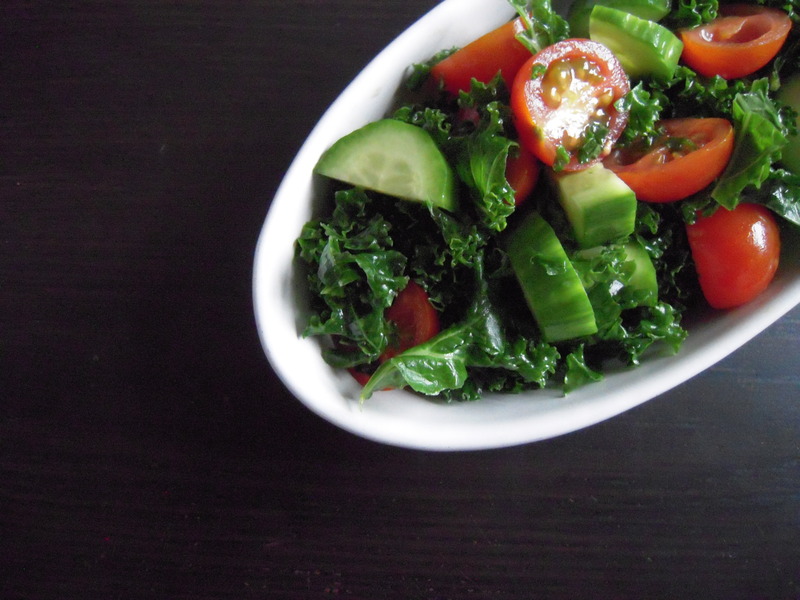 Put kale in a bowl and sprinkle with salt. Massage kale as if you are giving someone a shoulder massage for a few minutes. 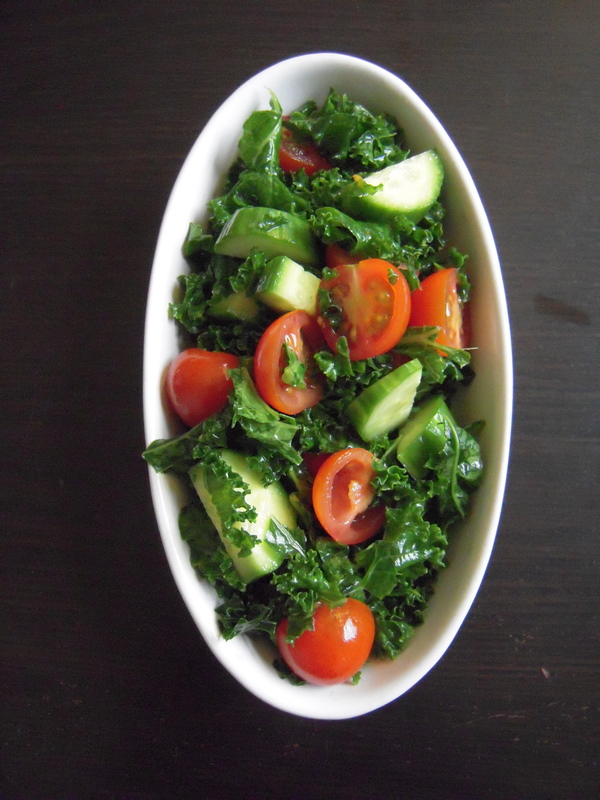 Once kale has softened, add any ingredients of choice and drizzle good quality extra virgin olive oil on top.